Spending quality time together as a family is extremely important – that is a well-known fact. Whether you are just visiting or moving to Texas with family, you can’t miss the opportunity to explore Fort Worth and its wonderful attractions. There are numerous ways to spend family time in Fort Worth, and the more time you have, the better. Get some awesome ideas right here. Although home-cooked family dinners and board games are always a nice way to enjoy family time, try to go out with your family as often as you can. Fortunately, you are in a town that has a lot to offer. Take advantage of having so many options in front of you. So, as soon as your Dallas-Fort Worth movers are gone, start exploring the area! The oldest zoo in Texas is home to over 500 animal species. Wildlife conservation projects in over thirty countries worldwide are supported by this zoo. The zoo features a 13,000-square-foot outdoor theater that offers encounters with live animals that are both fun and educational for your kids. Texas Wild! Petting Corral has animals such as an opossum, an armadillo, a Texas longhorn calf, goats, Texas tortoises, and corn snakes that guests can touch. We highly recommend the zoo’s world-famous reptile collection. Have you ever wondered what it’s like to be a cowboy? Cattle drives, saloons and rodeos are some of its greatest attractions popular among people of all ages. Moreover, there are family restaurants, an adorable petting zoo and a cattle-pen maze for the little ones, as well as numerous stores. If the company providing packing services Fort Worth TX forgets to pack your cowboy boots, you can get a new pair here at reasonable prices. Every Friday and Saturday night at the Cowtown Coliseum, you can witness a professional rodeo with participants from all over the world. It’s good to know that district is very walkable, wheelchair and stroller friendly. 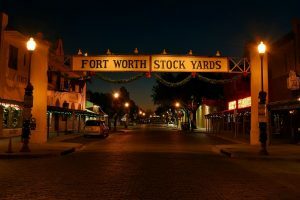 The Fort Worth Stockyards National Historic District is a true Texan experience. What kid doesn’t love trampolines? Visiting Flight Deck Trampoline Park is a fantastic way to spend time with your family in Fort Worth. A large indoor court of connected trampolines will be a great source of fun for the whole family. You can play dodgeball on the trampolines and even compete in one of their official tournaments. After a day of jumping, you can cool down with their delicious frozen treats at the Cool Zone. Altitude Trampoline Park is another trampoline park you must visit. In addition to classic jumping fun, this 35,000 sq. ft indoor park offers sports and fitness programs and competitive jumping. This is a commercial, residential, entertainment and retail district full of stores, restaurants, performance venues and galleries. 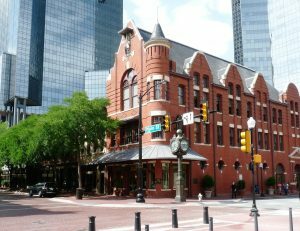 Sundance Square is also a walkable neighborhood where you can spend family time in Fort Worth. You and your loved ones can spend a whole day here, visiting the JFK Tribute, playing in the water fountains, or enjoying delicious food at one of the restaurants. A 15-minute walk from Sundance Square takes you to this peaceful oasis. It is open all year long and the entrance is free. It features 3 pools – aerating, quiet and active. This beautiful urban park in the middle of downtown is the perfect place to relax and take stunning photos with your family. There are various entertainment hot sports in Fort Worth that the whole family can enjoy. This museum, formerly known as the Veterans Memorial Air Park, offers interesting museum exhibits and an air park of 24 planes. It preserves and promotes the history of aviation, not only in Fort Worth and the North Texas region but also around the world. Every little girl should visit this museum. At the National Cowgirl Museum, your kids can learn about the brave, influential women that helped shape the American West and enjoy many displays of riding and rodeo artifacts. There are two interactive exhibits where you can ride a bronco or take a photo on a pony. 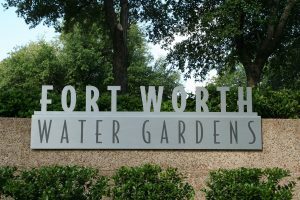 Located within the Fort Worth Cultural District, right next to the National Cowgirl Museum, the Fort Worth Museum of Science and History is also a good place to spend time with family in Fort Worth, especially if you have younger kids. The museum offers great traveling and permanent exhibitions. There is an outdoor dinosaur dig, an exhibit celebrating the cattle industry, a giant Lite Brite, a 30-foot model of a drilling apparatus as well as a 9/11 Tribute Exhibit. Just because it’s dark outside does not mean family fun has to stop. If your children are a bit older, you can take them to many awesome places in the evening. If they have recently moved to Fort Worth, a little extra fun will definitely help your kids cope with moving. Spend family time in Fort Worth’s Sundance Square, located in the heart of downtown. Billy Bob’s Texas: This is the world’s largest honky tonk and a great place to spend family time in Fort Worth. It allows minors under the age of 18 to attend concerts with a parent or guardian. You and your kids can play in the arcade, visit the gift shop, and end the night with professional bull riding every Friday and Saturday night at 9 and 10 p.m. Also, every Thursday at 7 p.m, you can attend free line dancing lessons! The Coyote Drive-In: At the Coyote Drive-In, you and your family can watch the latest movies (or good-old classics) outdoors with Fort Worth’s stunning skyline in the background. There is also live music and a wide variety of food and beverages at the Coyote Drive-In Canteen. Sundance Square Plaza: We have already mentioned the Sundance Square. What we have not mentioned is the nightly, synchronized light show between the beautiful fountains, 4 large umbrellas, and the surrounding buildings. The Plaza offers family-friendly entertainment, local bands, outdoor movies, yoga and Pilates classes.